Easy-to-mix concentrate Bacillus thuringiensis subsp. kurstaki; also known as Bt. Controls worms and caterpillars on fruits, vegetables, ornamentals and shade trees. Recommended for Imported Cabbageworm and Cabbage Looper. After ingesting the Green Step II™, worms and caterpillars immediately stop feeding, though they may appear to be unaffected for several days. 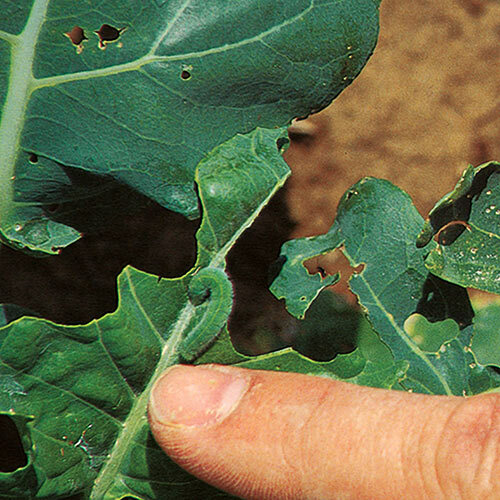 Best results are obtained by treatments when worms are actively feeding on treated, exposed foliage. Kills worms and caterpillar-stage insects, but has no effect on birds, earthworms or beneficial insects, such as honeybees and ladybugs, when used as directed. Acceptable for use on edible plants up to the day of harvest. 16 oz. makes up to 32 gal.